Terrific dialogue punctuates DeMille’s third John Corey outing (Plum Island, 1997; The Lion’s Game, 2000). Former NYPD Homicide detective Corey, now with the Federal Antiterrorist Task Force (ATTF) in Manhattan, is one sarcastic wit. The opening chapter here hints at mere hackery, but when Corey enters as narrator, the style uncaps its fireworks. 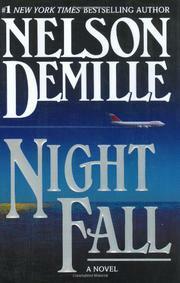 At nightfall in 1996, Jill Winslow and Bud Mitchell videotape their mutual adultery on a motel blanket on Long Island’s Cupsogue Beach and settle into some real fun when Jill sees a streak of light rise off the horizon and rocket toward TWA Flight 800. As in real life, the plane explodes, killing all 230 aboard. And it’s on videotape. Or is it? Five years later, ATTF closes the case, declaring it a mechanical malfunction, despite over two hundred witnesses having seen the rocket rise and strike the plane. Why has Washington released this bulloney? ATTF’s Kate Mayfield, Corey’s wife of a year’s standing, takes him to a beach memorial service for the victims, then leads him to some expert eyewitnesses who differ with the CIA’s animated film of the “malfunction.” The ATTF bosses work conjointly with an NYPD task force and warn Kate and John to drop this case or be fired, although Kate worked it five years earlier, interviewing eyewitnesses. But Kate can’t stop, and John, once loosed, brings his immense detective skills to undercutting the FBI and CIA version. This real-life tragedy hands DeMille perhaps his finest plot ever, one that involves real feeling, and will have you squirming and calling out at various dangers. And he gets around any risk of creating a sense of exploitation in the victims’ survivors who might read this thriller by lifting the plot into the heavens of mystery, with a satisfying Ahhh! at an end that you’ll foresee and still be surprised by. Ahhh! Now where’s that videotape?